The average cable bill in the U.S. costs $107 per month, so it’s not surprising that consumers are looking for ways to watch TV and movies online for free. We spent a month researching the best free (and legal) streaming services out there, and ranked them from best to worst, with two picks specifically for free TV streaming at the very end. We’d recommend downloading as many of these as you can onto your streaming device or TV of choice. That way, when you search for a specific movie or show, you can see if it’s available anywhere for free before you pay to rent it. We’ll be honest: A lot of the movies on these services are duds that companies like Netflix and Hulu deemed unworthy of paying for. Be prepared to see plenty of names you recognize in titles you don’t. (Nicolas Cage and Nicole Kidman’s “Trespass,” for example, pops up on just about every one.) That said, we were shocked at how good some of these services are — particularly the ones at the top of the list. If you’re looking to cut out cable or paid streaming services, these are worthy replacements. 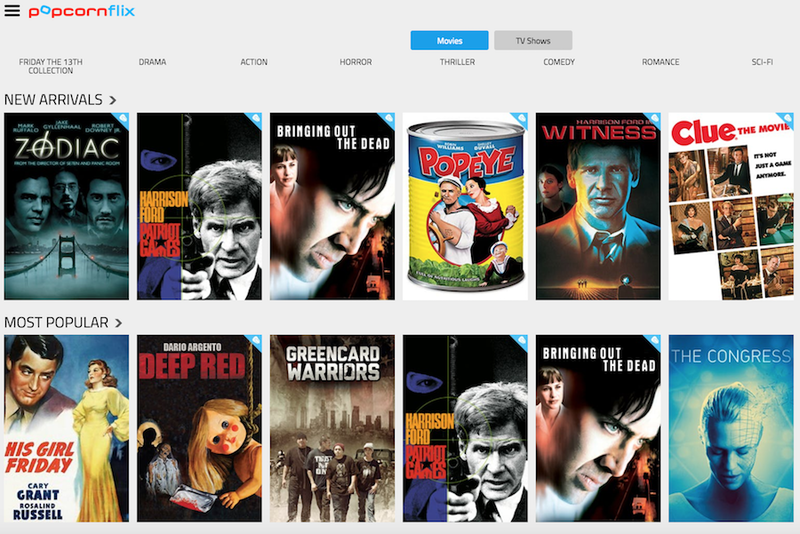 Hoopla brings your library’s vast collection of movies and TV shows straight to your TV. It’s owned by Midwest Tape, a distributor of DVDs, CDs, and audiobooks that works exclusively with libraries in North America. Because libraries pay for the service, its catalogue is better than just about any other service out there — even rivalling paid services like Netflix and Hulu — and you can watch movies ad-free. What it’s best for: Just about everything. Hoopla received top marks in our evaluation for documentaries, classics, drama, and horror, but its enormous collection means its solid across the board. And lest you forget this is a library service, it also has tons of great self-improvement videos for things like exercising, cooking, and learning to play instruments. 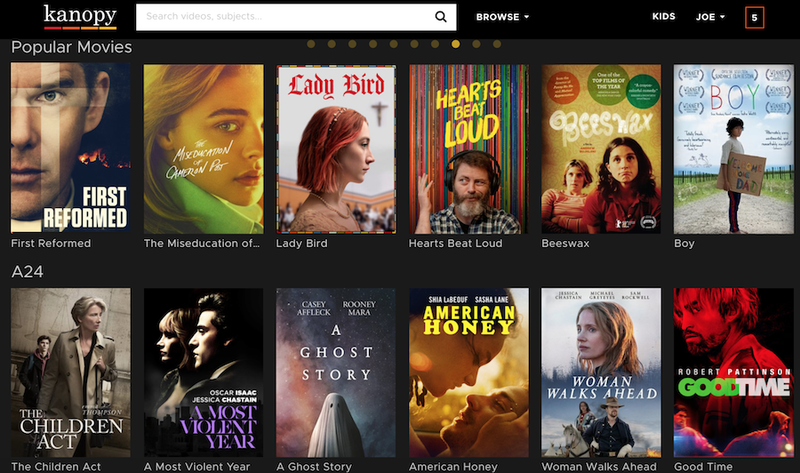 What it’s missing: There are no glaring weak spots in Hoopla’s library, but it didn’t have quite as many new releases as Kanopy. If you’re looking to catch up on Oscar contenders, we’d try that first. Tubi has an absolutely massive selection of movies, with more of an emphasis on blockbusters compared to Hoopla’s critically acclaimed titles. 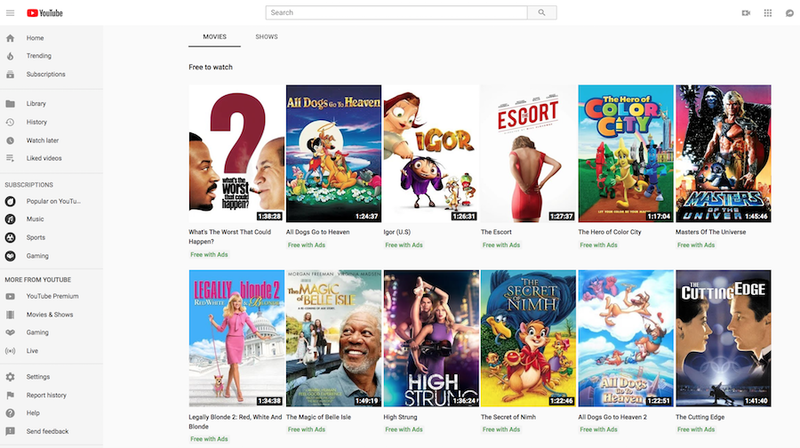 Despite its huge number of movies, it’s not overwhelming to search through, as you can sort by 54 categories like “Highly Rated on Rotten Tomatoes” and “Not on Netflix” to help cut down aimless browsing. What it’s best for: No matter what you’re in the mood for, you’ll probably be able to find it on Tubi. It especially stood out in the Family category, with popular titles like “Paddington,” “Hugo,” and “All Dogs Go to Heaven.” It also has an incredible number of 2000s reality TV shows if you’re in the mood for some nostalgia. What it’s missing: Like Hoopla, we didn’t have many quibbles with Tubi’s selection, but we did score it behind Kanopy when it came to new releases. Like Hoopla, you’ll need a library card to access Kanopy. And like Hoopla, that gives it one of the most impressive collections of free movies you’ll find. But Kanopy skews more towards serious fare rather than blockbusters. It’s the college library to Hoopla’s local branch — more international, more arthouse, and more film history. It also has thousands of educational videos on topics like business, communications, and global studies. What it’s missing: Kanopy isn’t your best option if you’re looking for comedy or family movies, and it’s also pretty bare bones when it comes to TV shows. 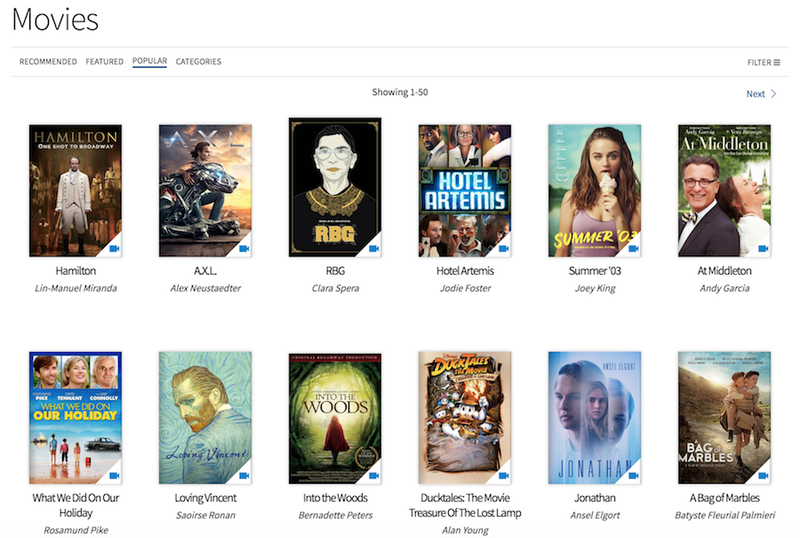 Vudu is mostly known as a video rental service, but it also has more than 3,000 movies and 250 TV shows available to stream for free with ads. Where most free services inflate their numbers with B-movie filler, Vudu’s free titles are surprisingly well-known. What it’s best for: Browsing through Vudu is like walking into the video store from your childhood. It seems to exist entirely in the 1985-2005 range, with all the action, horror, and comedies to tickle your nostalgia bone. And if you’re watching with the kids, Vudu also has one of the largest selections of family movies we came across. What it’s missing: Don’t look to Vudu for new — or especially serious — movies. In early January 2019, Amazon launched IMDb Freedive, a free TV streaming service to supplement Prime Video. While it’s library is pretty small — a little over 200 movies by our count — it synchronizes nicely with IMDb’s platform. If you use IMDb to look up a movie, for example, there’s a distinct banner saying it’s available on Freedive. What it’s best for: Freedive has a great selection of dramas, comedies, and action movies. Even though it doesn’t have as many titles overall as some free services, it’s refreshingly free of fluff, so you won’t have to waste too much time searching. What it’s missing: There are virtually no classics, foreign films, and indies on Freedive, and it’s also pretty light on documentaries and horror. You won’t find any movies released within the past few years, either. The founding father of free TV streaming, Crackle was bought by Sony in 2007, and primarily streams Sony’s (and by extension Columbia’s) back catalog of movies. There’s generally a lot of overlap in free streaming service libraries — most services have similar movies because they’re cheap or free to license — but because of its exclusive rights to Sony movies, Sony Crackle’s 200 movies usually aren’t on other free services. What it’s best for: While its library is modest, Sony Crackle has a surprising amount of classic comedies. Both Ace Ventura movies, “Superbad,” and “Sleepless in Seattle” are all available. What it’s missing: Skip Sony Crackle if you’re looking for serious movies — you won’t find many Oscar winners or documentaries here. The Roku Channel is a free add-on to all Roku devices, and has a smattering of TV shows and movies if you’re in a pinch. It’s unique in that it also has 19 live TV channels. You probably haven’t heard of them, but they show up a lot in live streaming services you have to pay for, so it’s nice that Roku includes them for free. What it’s best for: The Roku Channel has a decent number of dramas, particularly when it comes to past Oscar winners: “Capote,” “Monster,” and “Gahndi” are all up as of this writing. You can also find some solid horror movies, although they get pretty low-budget after the top 10 or so (withholding judgment on “Shark Attack 3” while we catch up on the first two). 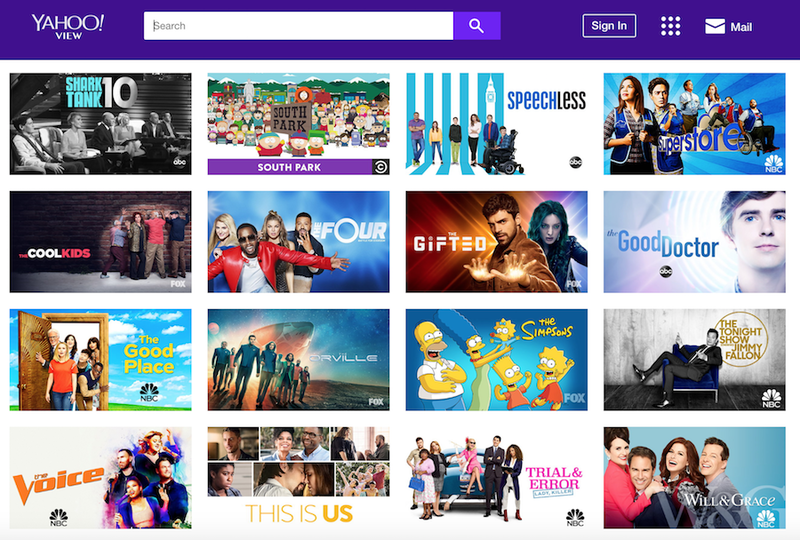 What it’s missing: Family movies and new releases are non-existent on the Roku Channel, and the comedy section is pretty bleak, too. Popcornflix the place to go if you’re looking for your favorite star’s most obscure movies (Channing Tatum in “Battle in Seattle,” anyone?). It’s a pretty weird service to navigate, with categories like “bro movies” and “old school cool.” We were also a little dubious of the “Popcornflix Originals” stamp — the streaming service somehow claims the 2003 Oscar winner Monster as its own. What it’s best for: Popcornflix has a deep roster of horror movies, including parts three through eight of the Friday the 13th series, a handful from icons like Hitchcock and John Carpenter, and newer horror classics like “Zodiac.” It also has a ton of family movies, but a lot of them seem to be knockoffs of beloved Disney movies. What it’s missing: Popcornflix has almost nothing released this decade, and most of its movies never saw a theater to begin with. They’re a little difficult to find, but YouTube does have a little over 100 movies to stream legally and for free. What it’s best for: YouTube has a decent amount of documentaries streaming for free, with an emphasis on bios of celebrities like Taylor Swift, Beyonce, and Kanye West. What it’s missing: Pretty much everything else. You might be able to find a random title that piques your interest, but most of those are also available on the free streaming services listed above. 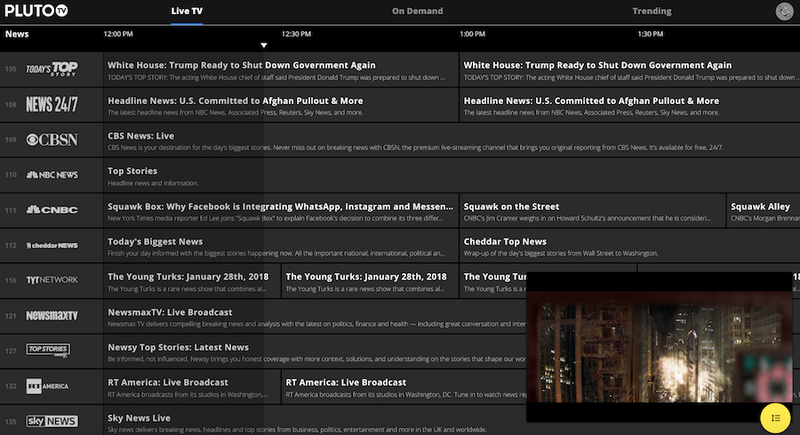 Pluto TV is unique among free streaming services in that it offers live TV channels. Granted, they’re not what you’d find in most cable subscriptions, but they could provide a reasonable stand-in if you want the experience of channel surfing. What it’s best for: Most people want live TV for two things: news and sports. On that front, Pluto succeeds pretty well. It has 15 sports channels, including ones like Fox Sports and Stadium that are staples of many live streaming services. We were also impressed by the quality of its 13 news channels, with well-known networks like CBS News, CNBC, and NBC News. It’s also the only free service we saw with on-demand shows from popular channels like Discovery, TLC, and Animal Planet. What it’s missing: While Pluto has a small-but-mighty movie collection, it’s pretty bare when it comes to action, comedy, and drama. Yahoo! 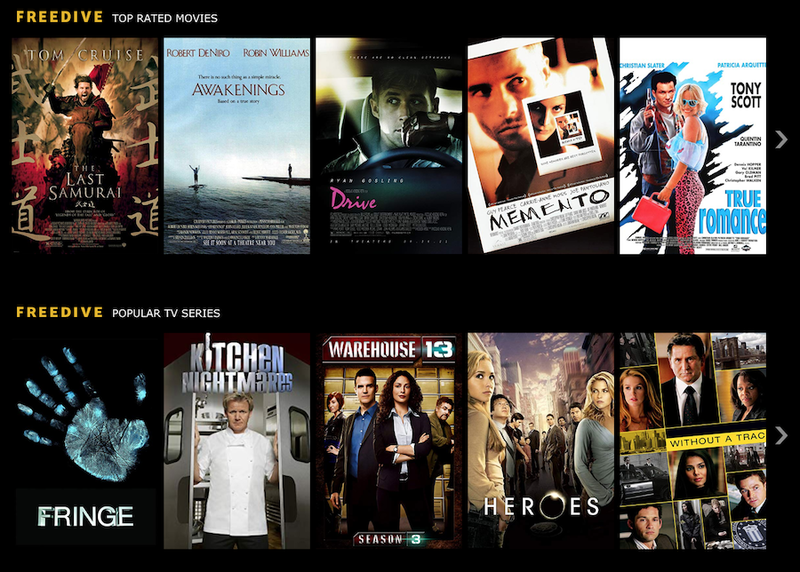 View is the only streaming service we found that lets you watch new TV series online for free. The five most recent episodes from shows on ABC, NBC, and Fox go up eight days after they originally air on TV and stay up until they’re replaced by newer episodes. Unfortunately, if you want to watch through a streaming device, Yahoo! View is only currently available on Roku. What it’s best for: Yahoo! View is by far the best way to keep up with network shows without paying for cable or Hulu. Some of the most popular shows on TV — including “This is Us,” “The Good Doctor,” and “Blue Bloods” — are all available on the free streaming service. What it’s missing: Yahoo! View has a little more than 50 movies, and most of them are pretty obscure. It’s clear that the service prioritizes television over film. You might not find everything you’re looking for on these free services, but they can still be a great way to supplement (or replace) paid options like Netflix and Hulu. We recommend downloading all of them to your streaming device or TV if you can. That way, their libraries will be included every time you search for a movie, so you won’t pay for anything that’s out there for free.